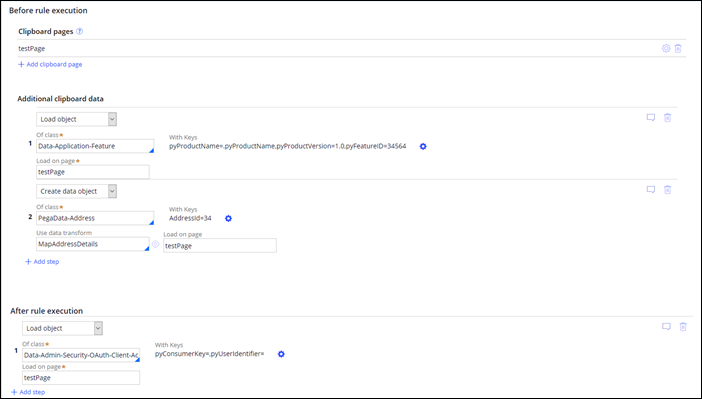 When creating test data for automated tests, you now have more tools at your disposal and more fine-grained control. For example, you can separately define actions that will happen before and after rule execution during the test run. You can also add multiple user pages from the clipboard and configure them. These pages will be copied to the clipboard at test run time. The following figure shows the option for adding clipboard pages in the Setup & Cleanup tab of the Edit Test Case page. 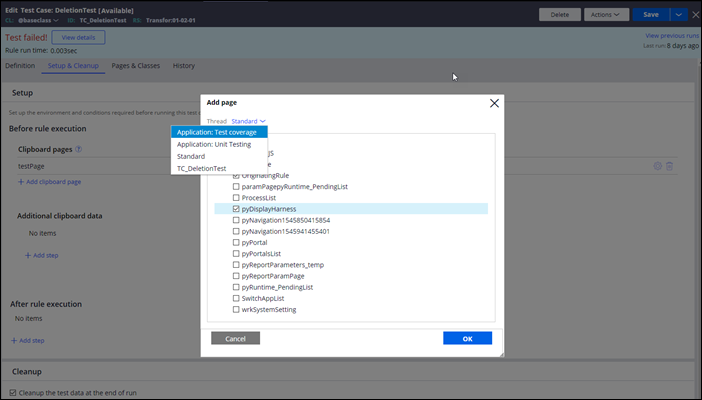 When creating or editing a test case, you can also load objects and create work or data objects that will be available during test run time, either before or after rule execution. The following figure shows these configuration options. By default, all the created test data is automatically cleaned up after the test run ends. You can override this behavior and keep the test data in the clipboard after the test has been completed. This option is useful if you want to create a series of tests cases that need data from previous tests. The following figure shows the cleanup options. For more information, see Setting up your test environment and Cleaning up your test environment.